When you have a food allergy, it can be a daily struggle trying to make sure you stay safe from a dangerous reaction—while also finding food that you actually enjoy eating. Meal kit companies can make it easier, by allowing you to see all of the ingredients in a particular recipe before ordering. Some even let you filter your weekly menu selections according to allergens. In addition, with most meal kit companies you can expect fresh, premium produce, fish and meat, along with artfully-crafted recipes that can introduce you to a whole new world of home cooking. It’s important to note though that most meal-kit companies are not certified allergen-free. The meals are typically all packaged in the same facilities, so if you have a highly-dangerous allergy you may still want to steer clear. 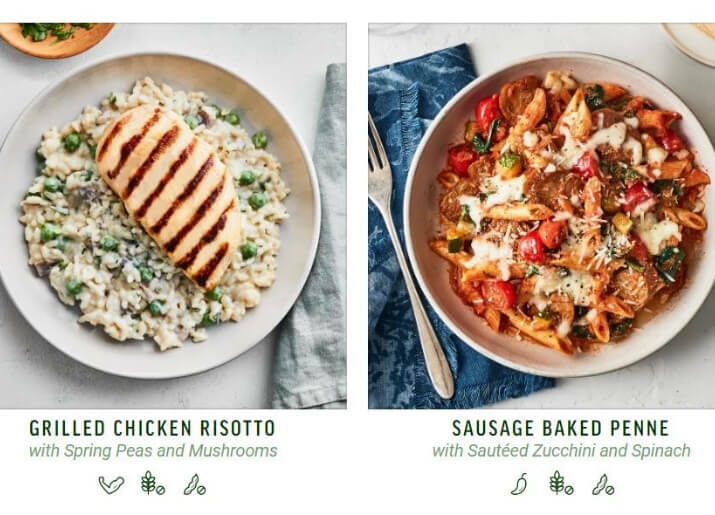 Freshly is a ready-to-heat up meal kit company that sends you “chef-cooked” healthy meals with a wide variety of membership options. Freshly is one of the only meal kit companies that is entirely free of peanuts and the facility it uses is also peanut free so you can avoid cross contamination. Also, no matter which premade meals you order, you can always stipulate which ingredients you’d like removed, including tree nuts, dairy, eggs, and soy, among others. 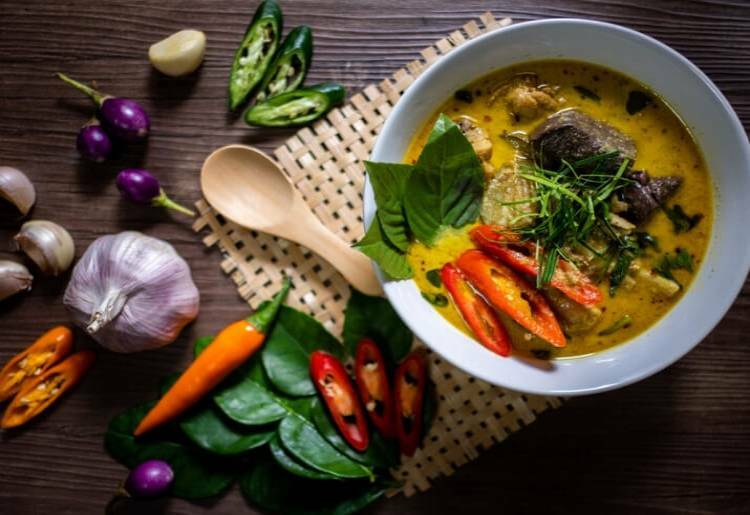 There is a big emphasis on high protein and low-carb meals, and Freshly also uses no processed sugars, or ingredients that include chemicals, hormones, additives or preservatives. With Freshly you can choose plans of 4, 6, 9 or 12 meals per week and the meals always come fresh, never frozen. While many meal kit customers prefer the experience of cracking open the box, following the menu, and cooking the meals themselves, Freshly is great if you'd like to save yourself the trouble, and just dig in. 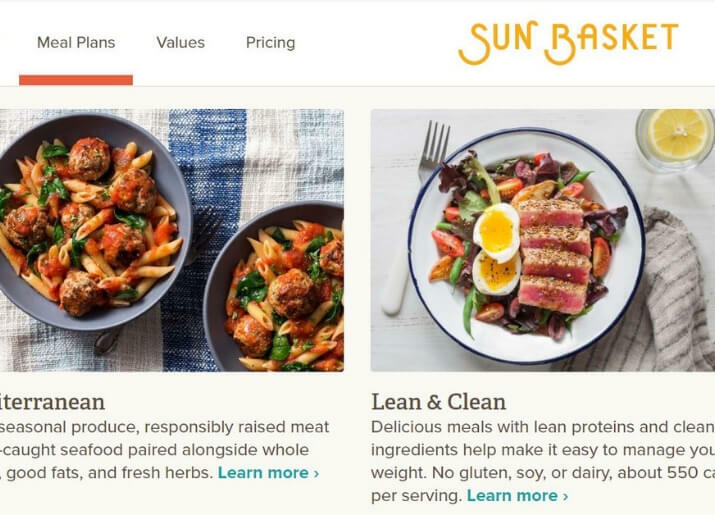 Sun Basket has built a reputation in the meal kit industry for using nothing but certified-organic ingredients, which usually means you can count on tasty, premium ingredients that are farmed sustainably. In addition, all of the recipes provided by Sun Basket are inspired by an in-house chef, so you can really discover some new and fanciful ways to do dinner. If you’re looking to avoid soy, Sun Basket writes “soy-free” below every relevant meal option, so you know which items not to order. That said, Sun Basket states on its website that its recipes are all packed in the same facility so you may still get trace amounts of your allergen even if you’ve selected, say, a soy-free or gluten-free item. 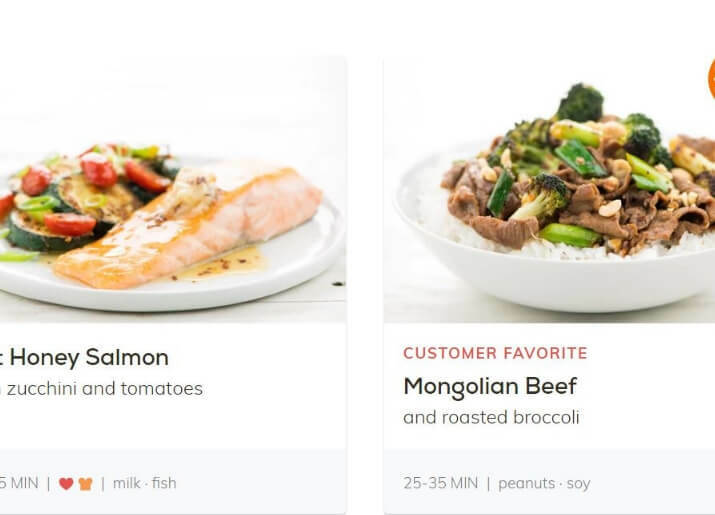 If you’re ordering with HelloFresh, when you select your recipes for the week you can click on the recipe and see all of the ingredients, including which allergens it doesn’t contain. For instance, “Meatloaf a La Mom,” which comes with roasted root veggies and thyme gravy, and is, according to HelloFresh, a good selection if you have a wheat or milk allergy. The company also states that it has a team of dietitians that review every ingredient to see if it has any of the 8 major allergens: wheat, dairy, soy, eggs, nuts, peanuts, fish, and shellfish. 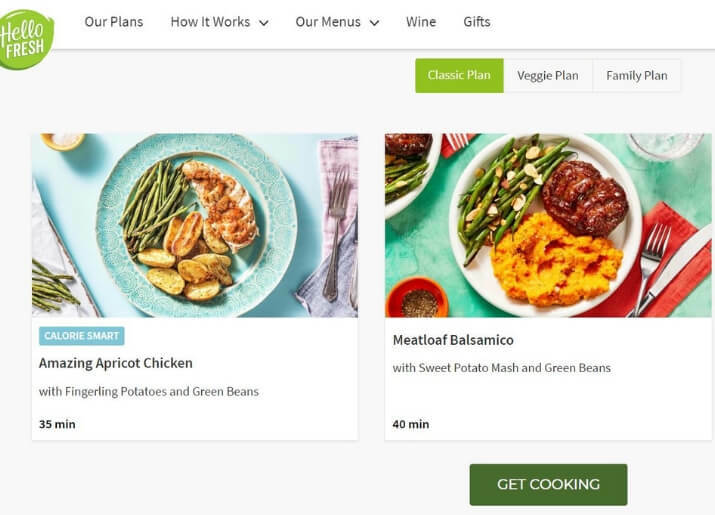 Regardless of if you have an allergy or not, with HelloFresh you will be able to order from one of the most popular meal kit companies, that features premium ingredients and 6-step recipes that should only take you about 30 minutes to make. An egg allergy can really throw a wrench in the works, and not only at breakfast time. 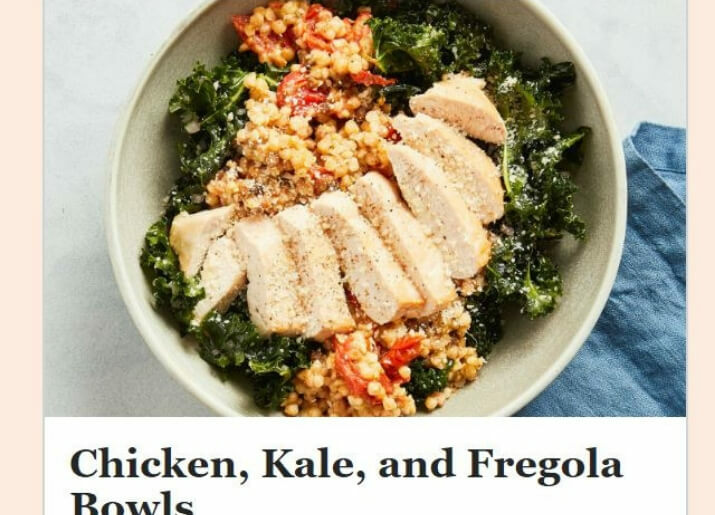 While meal kit company Plated does use a single facility to handle all of its ingredients, the company states that no matter what you order, you will always be able to see any and all ingredients that come in the recipe, including a breakdown of all of the 8 major allergens recognized by the FDA. Also, the company allows you to easily modify recipes and omit any ingredients you’d like to avoid. Now that you know what’s omitted, what’s included with Plated? With Plated you get to pick from 20 different recipes per week, one of the biggest selections in the entire industry. And this isn’t your garden variety fare either—it’s dishes like white pizza with crispy brussel sprouts and balsamic glaze, crunchy pork milanese with honey mustard and little gem, and things that we don’t know how to pronounce but sound amazing like cavatappi alla norma with roasted eggplant and whipped ricotta. Home Chef lets users note their dietary preferences, including if they’d like to avoid gluten. It’s easy to find options that are low in gluten, such as garlic and lemon-crusted salmon, souvlaki greek chicken, or chicken banh mi lettuce wraps, to name just a few from a single week. Finding meals that are right for you is easy with Home Chef partly due to the sheer variety of options. Every week you’ll be able to pick from 16 different recipes, including a pair of 5-minute lunches, in addition to 2 add-ons, such as smoothies or fruit. You can order packages of 2, 3, 4, 5, or 6 meals, for 2, 4, or 6 people and can mark the allergies you need to avoid. You can also opt for the occasional premium meal, with options like “blue cheese-crusted filet mignon,” if you want to make the night a bit more special. All of the recipes are designed to take only about a half hour to fix, and that's even if you’re not that handy around the kitchen. Dealing with a serious food allergy can be tough, especially if you’re eating out and don’t know if you can trust the restaurant’s kitchen to be safe. At home though, you can be more in control, and with meal kits, you can get a little help keeping an eye on what you need to avoid. Take a look at some of these top meal kit companies and see if they provide the answer you need.